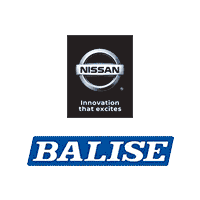 When you want to one-stop car shop, look no further than the new vehicle inventory at Balise Nissan of Warwick. We have a wide variety of models in stock, from the popular Nissan Rogue to the fan favorite Nissan Murano. When you’re ready to take your East Providence commute to the next level, pursue the AWD Nissan models for sale in Warwick, RI at Balise Nissan of Warwick! With Nissan Intelligent Mobility, NissanConnect technology, and many other new innovations, you can’t go wrong choosing a Nissan model. Take a look at our inventory, and new vehicle specials, to find the one that’s right for you. Why Choose a New AWD Nissan from Balise Nissan of Warwick?